Here is the book that brought the mystical implications of subatomic physics to popular consciousness for the very first time—way back in 1975. 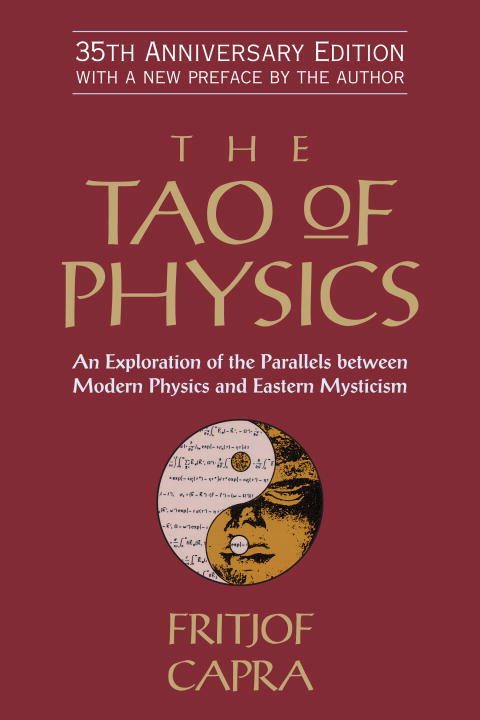 This special edition of The Tao of Physics includes a new preface by the author, in which he reflects on the further discoveries and developments that have occurred in the years since the book’s original publication. “Physicists do not need mysticism,” Dr. Capra says, “and mystics do not need physics, but humanity needs both.” It’s a message of timeless importance. It is becoming ever more apparent that mysticism, or the “perennial philosophy,” as it is sometimes called, provides a consistent philosophical background to our modern scientific theories. Also by Fritjof Capra are The Web of Life and Hidden Connections. Here is the book that brought the mystical implications of subatomic physics to popular consciousness for the very first timeway back in 1975. This special edition celebrates the thirty-fifth anniversary of this early Shambhala best seller that has gone on to become a classic. It includes a new preface by the author, in which he reflects on the further discoveries and developments that have occurred in the years since the books original publication. Physicists do not need mysticism, Dr. Capra says, and mystics do not need physics, but humanity needs both. Its a message of timeless importance.